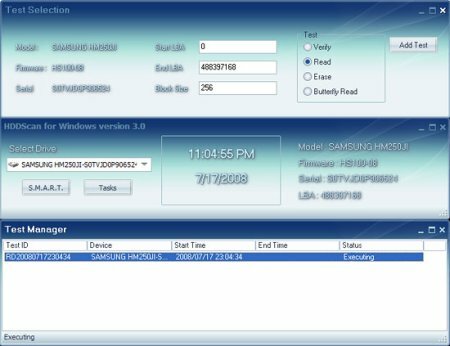 HDDScan is a program for low-level HDD diagnostics. HDDScan supports IDE/SATA/SCSI hard disk drives, RAID arrays, external USB/Firewire hard disks, flash cards. The program can scan the surface, view SMART attributes, adjust AAM, APM (Power Management), etc.